We are experiencing strong growth, and you’ll enjoy an entrepreneurial energy in your role as you help transform this department to focus more on quality engineering. You'll have the freedom and autonomy to influence the quality engineering strategy and shape the company for the future. Showcase your deep quality experience and leadership skills to make both a strategic and tactical impact. You’ll gain broad experience across the business, dipping your toe into areas that you may not get to touch in other quality engineering roles. This will be a great mix of challenge and opportunity for a leader who understands how to implement quality engineering metrics and enjoys leading and managing a team. If that sounds like you, then send your resume today. Based in Charlotte, North Carolina, SPX FLOW is a global multi-industry manufacturing leader with operations in more than 35 countries and over 8,000 employees. The company’s highly specialized, engineered products and innovative technologies are helping to meet rising global demand for power and energy and processed foods and beverages, particularly in emerging markets. This is a great time to join us, as we are optimizing our global footprint, streamlining business processes and reducing selling, general and administrative expense through a global realignment program. In this environment, strong performers can make their mark. 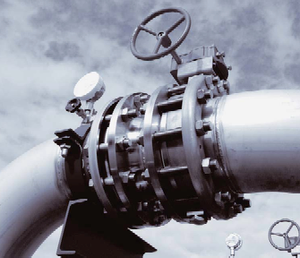 Hands-on experience leading quality engineering department in manufacturing operations and demonstrated experience developing and maintaining API/ISO (6D - specification for pipeline valves) systems. Strong leadership skills and experience with employee development. The ability to implement change initiatives and develop quality improvement programs. Experience with leading internal and external audits. The ability to set-up data systems and metrics. The ability to define problems, collect data, establish facts, and draw valid conclusions. The ability to influence at all levels of the organization. The ability to see bigger picture and envision step-change scenarios. Passion for driving business improvement and leading change in a large, complex, global environment. A collaborative and proactive approach. Excellent interpersonal, time management, decision-making and conflict management skills. Ability to successfully communicate and develop positive relationships with all levels of the organization. Knowledge of Manufacturing software; Project Management software; SAP; Visio; Spreadsheet software (Excel) and Word Processing software. The ability to work with mathematical concepts such as probability and statistical inference, and fundamentals of plane and solid geometry and trigonometry. Strong advanced facilitation skills and the ability to understand and influence group dynamics. Reporting directly to the Site Leader, as Quality Engineering Manager, you will be charged with planning, coordinating and directing the quality program designed to ensure quality control and quality assurance of the production of products consistent with established standards. Formulate and maintain quality objectives complementary to corporate policies and goals. Interpret quality philosophy to key personnel in the organization. Develop and initiate standards and methods for inspection, testing and evaluation. Plan and oversee the analysis, inspection, design, test and/or integration assure the quality of assigned product or component. Perform quality engineering reviews of design documentation for compliance with stated requirements, including vendor quality manuals and company quality records. Decide whether to accept a product or continue business with a vendor based on a review by the quality assurance engineer. Review all data obtained during all quality control and quality assurance activities to ensure consistency with company policies and procedures. Develop new approaches to solve problems identified during quality activities. Keep management team abreast of significant issues or developments identified during quality activities and actions taken to improve the situation. Prepare and present technical and program information to the management team. Direct workers engaged in inspection and testing activities to ensure continuous control over materials, facilities and products. Maintain a working knowledge of government and industry quality codes and standards. Play an active role on quality management teams within the organization. Design and implement quality training programs to key personnel in conjunction with managers. Directly / indirectly supervises 7 to 10 employees in the Quality Department. Building on a foundation of strong processes, you will provide the quality engineering leadership that will bring everything into alignment company-wide to drive even greater success in the applications arena. You’ll own the strategic vision for quality engineering and put your personal stamp on the organization by leading new initiatives for the function. Our plans to migrate to more of a quality engineering function represent a highly-visible and critical initiative for the organization, and you'll be at the forefront of this exciting endeavor. You'll have the freedom and latitude to truly change the entire organization and make your vision a reality. This means you'll need strong technical chops combined with proven leadership skills. This isn't a role where you'll maintain the status quo, instead, you will make your mark and put your thumbprint on our operational excellence. If you are a qualified individual with a disability or a disabled veteran, you have the right to request an accommodation if you are unable or limited in your ability to use or access our career center as a result of your disability. To request an accommodation, contact the Human Resources Department at wlinden@engage2excel.com.